Bitcoin is becoming increasingly popular in the investment world. Although it is still relatively removed from the mainstream, the occasional mentions on mainstream, business news programs have increased in frequency during the last few months. As a result, the Bitcoin economy has been growing and evolving to accommodate for trading and investing that is beginning to roughly resemble that of a mainstream stock market. Bloomberg has added Bitcoin to its list of market tickers, Bitcoin exchanges are popping up everywhere, and United States federal financial regulators have approved the very first Bitcoin derivative. All of these developments are signs that Bitcoin is becoming more and more present in the upper echelons of the trading world. Of course, our fairly new digital currency is far from being on par with the various government currencies that are traded on foreign exchange markets, but the fact that the financial infrastructure around Bitcoin is beginning to resemble some of these markets is significant indeed. It means that people in the mainstream are beginning to take notice, and Bitcoin entrepreneurs are striving to make their enterprises more appealing to these passive spectators, in hopes of persuading them to take on active roles in the Bitcoin economy. The most rapidly developing of these enterprises are the various Bitcoin exchanges. And the rapidity of their evolution is easy to understand, for the exchanges are currently the most readily available access points for individuals looking to get their foot in the door of the crypto world and buy their first bitcoins. There are other methods to purchase bitcoins, such as ATMs and Local Bitcoins, but they are not nearly as accessible nor intuitive as the exchanges. Therefore, online Bitcoin exchanges have become a hotbed of activity in the last year or two. As the exchanges grow in popularity, so does their desire to expand their marketing to broader demographics. As a result, the more popular exchanges, such as Coinbase, Bitfinex, BTC-China, and Huobi, have been rolling out new features and services that make their enterprises seem more “legitimate.” The most popular—and sinister—of these services is margin trading. Bitcoin margin trading has the potential to pump up a Bitcoin credit bubble, an event in which the Bitcoin price will become “artificially” pumped up and will collapse once the credit is cut off. Margin trading serves as one of two ways this phenomenon can occur; we will discuss the second route a Bitcoin credit bubble can take—direct credit expansion from the Federal Reserve—in the second part of this brief, two-part series. Margin trading, while new to the Bitcoin world, is an old investment tool. When an individual is trading stocks on a stock market, he has the option of leveraging his investment by purchasing stocks on margin. What this means is that the investor can borrow money from his brokerage to supplement his funds. So, if the person has $100 and can afford to buy 10 shares of a stock, he can borrow $50 from his brokerage and buy 5 more, making for a total investment of 15 shares. The idea of buying shares of stock on margin is that the stocks the person is investing in will increase in value enough so that the borrower can pay back the principle loan with interest, while still making a large enough gain to profit more than he would have if he did not borrow money from the brokerage. The brokerage, when lending the money to the borrower, naturally wants to protect itself against losing the principle from an unanticipated decrease in the value of the stocks the borrower is leveraging. So, the brokerage sets a lower bound on the price of that stock, below which the borrower’s investment would turn into a loss, making him unable repay the loan he took out from the brokerage. 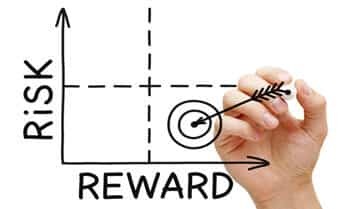 If the price falls below that lower bound, the brokerage will automatically liquidate the borrower’s investment to recover the principle amount loaned to him. The act of selling off the margin buyer’s assets to prevent losses to the brokerage is called a margin call. Bitcoin Margin trading works exactly like it does on a regular stock exchange. The only difference is that Bitcoin investors do not use brokers, they make an online account and trade directly with the exchange. Therefore, the margin buyers do not borrower from a brokerage, they borrow from the Bitcoin exchange itself. However, Bitcoin margin trading does not work as smoothly and is not as safe as the margin trading services on the mainstream exchanges. The reason for the presence of this risk is that margin trading is very new in the Bitcoin economy, which itself is still in its infancy; there simply has not been enough time for exchanges to develop a multitude of safety mechanisms—that is why individuals must buy and sell bitcoins at their own risk. There are, then, two major flaws present in all the Bitcoin exchanges that currently offer margin trading services. The first is a direct result of the lack of safety mechanisms, while the second flaw is a risk that comes with issuing credit in general. The first major flaw present in Bitcoin margin trading is the fact that it creates the possibility of a credit bubble and a subsequent flash-crash. A flash-crash occurs when the Bitcoin price falls below the lower thresholds set by a Bitcoin exchange on the assets of its margin buyers. If there are many margin calls set at the same price, then a surge of selling pressure will be unleashed once the Bitcoin price falls below that threshold. Since margin calling is done automatically, the price will nosedive within a matter of seconds after falling below that margin call threshold. These crashes are generally short-lived, however, ending almost as soon as they begin, which is due to the fact that the market immediately reacts and starts buying up bitcoins at the bottom of the flash-crash. There have been two flash-crashes on two different Bitcoin exchanges last month, both occurring within days of each other. The first was on Bitfinex, where the crash briefly sent the Bitcoin price into $460s. 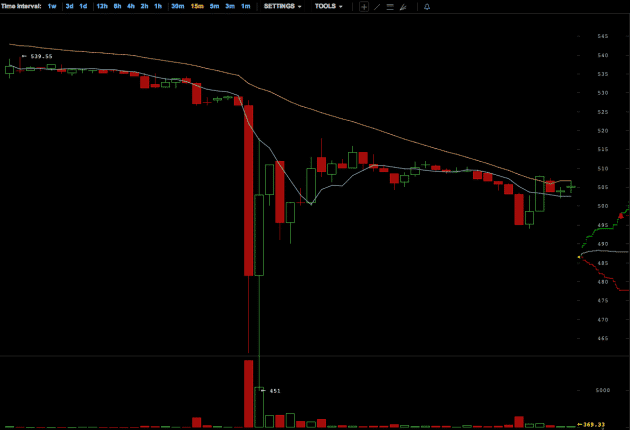 Then, a few days later, there was a crash on BTC-e, where the price bottomed out at $309. Larger, mainstream stock exchanges, such as NASDAQ, have systems in place to prevent these kinds of crashes. They spread the margin calls out so that they are staggered, avoiding a sudden nosedive. Huobi, Bitfinex, and BTC-e, the major exchanges that offer Bitcoin margin trading, have no such safety mechanisms. Therefore, flash-crashes are almost guaranteed at some point, given the wild fluctuations in the Bitcoin price. These crashes are extremely dangerous, for they have the potential to throw the market into a panic and drive the Bitcoin price to the ground. Since the fiat exchange value for Bitcoin denotes the digital currency’s purchasing power, a massive, margin trading-induced crash would equate to a rapid hyperinflation. Bitcoins would get dumped on the exchanges so fast that the supply would far exceed the quantity demanded, thereby forcing the Bitcoin price down. As the price drops, so does Bitcoin’s purchasing power. Such a collapse in the purchasing power could drive investors and even die-hard enthusiasts out of the Bitcoin economy for good. A result in an increase in Bitcoin margin trading would mean that exchanges would be lending out more money. Obviously, that money must come from somewhere. Since traders hold accounts with Bitcoin exchanges, instead of using brokers, the exchanges actually have reserves of money—both fiat and Bitcoin. When the exchanges lend money to a margin buyer, they are drawing on these reserves. Now, in order for the exchanges to lend out money to margin buyers without taking from their customers’ deposits, they have to have a reserve ratio of over 100%. Such a ratio has been easy enough to maintain so far; both Huobi and OKCoin recently underwent proof-of-reserves audits and showed that they had reserve ratios of 103% and 104%, respectively. However, maintaining a ratio in excess of 100% will become increasingly difficult as the demand for Bitcoin credit rises. Thus, exchanges will have a particularly strong incentive to draw on the deposits of their customers. If that were to happen, it would mean that some of the deposit-holders would not be able to withdraw their funds on demand. 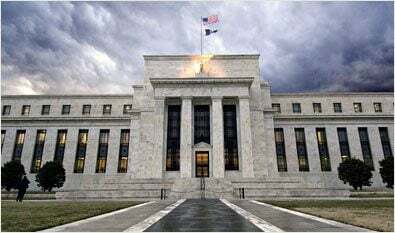 In effect, the exchange would be somewhat operating as a fractional-reserve bank. There of course would not be any money creation going on—meaning that the credit expansion would not be as severe as it is with traditional banks—but the exchanges would be lending out money in a manner that would make them insolvent. All it would take is for the exchange to deny one person an immediate withdrawal of his or her funds; the news would spread across the Internet, and there would be a run on the exchange. The customers would demand the redemption of their deposits, the exchange would not have enough money to pay all of them, and the exchange would be forced to shut its doors. Such runs happened with traditional banks during the Great Depression—the banks lent out too much money and went out of business when their patrons demanded the release of their funds. Luckily, Bitcoin exchanges are not controlled by any central authority, like a central bank or a “central exchange” that has the power to manipulate interest rates and keep them low for extended periods of time. Therefore, market forces would essentially compel the exchanges to keep their interest rates at a level that is in accordance with time-preferences, discouraging individuals from engaging in Bitcoin margin trading in droves. That discouragement would make it easier for the exchanges to maintain reserve ratios in excess of 100%%, making the deposits of their customers more secure.